Podcast Bath: Shann knows what it takes to create a wildly popular #podcast. As the co-creator of the award-winning Anxiety Slayer Podcast with over 440 episodes & over 5.5 million downloads, I know what it takes to create a wildly popular podcast. I want to help you strategize, create, record, and launch your new podcast. 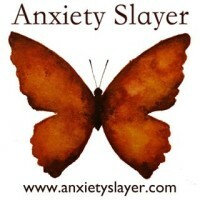 Over the last 10 years, the award-winning Anxiety Slayer Podcast I co-host with Ananga Sivyer has become one of the most listened to resources for stress and anxiety relief. Give us 5 minutes and we’ll give you a calmer mind. We love to answer listener questions and share supportive tools to help people who are suffering, slay their anxiety with our free podcast. 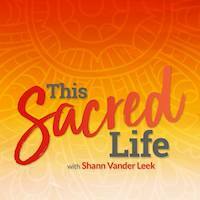 I am also the hostess of the celebrated This Sacred Life: Divine Feminine Spotlight Podcast Series, featuring women who walk in beauty with the strength, courage, and pleasure of claiming their feminine sovereignty. Both podcasts are available on iTunes, Spotify, Podbean, Stitcher, GooglePlay and across most podcast directories. Give a listen to my professional podcast bumper (intro/outro) examples. Visit the Podcast Media Services page for podcast packages and media service pricing.